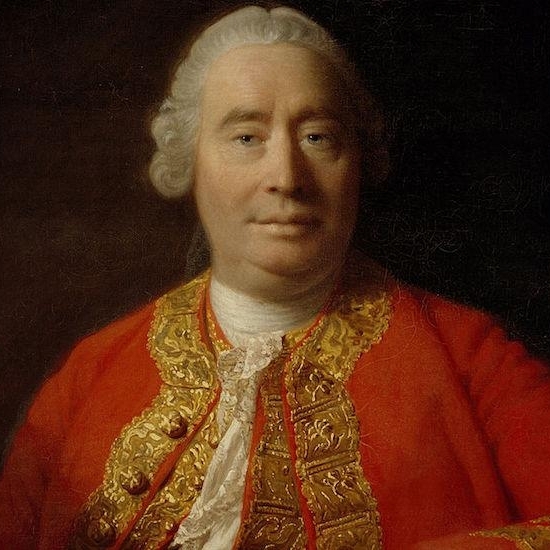 David Hume (1711 - 1776) was a Scottish philosopher, historian, economist, and essayist, who is best known for his highly influential system of philosophical empiricism, skepticism, and naturalism. Beginning with his A Treatise of Human Nature, Hume strove to create a total naturalistic science that examined the psychological basis of human nature. Hume held that passion rather than reason governs human behaviour and argued against the existence of innate ideas, positing that all human knowledge is ultimately founded solely in experience; Hume thus held that genuine knowledge must either be directly traceable to objects perceived in experience, or result from abstract reasoning about relations between ideas which are derived from experience, calling the rest "nothing but sophistry and illusion", a dichotomy later given the name Hume's fork.